Quality Diamond on the dial. Featuring a quality diamond on the dial, along with the luster of the black hi-tech ceramic band and the silver hour and minute hands, this unisex luxury watch from Cirros will set you apart from the crowd and will have you showcasing it to everyone. In addition to it's luxurious and elegant look, this black ceramic watch features quality Japanese movement, which ensures accurate timing. It is water resistant to 3 ATM / 30 Meters / 99 feet, and is equipped with sapphire crystal, which means that is is very resistant to scratches. This watch comes in one size and is made to fit a wrist with a circumference of 235 mm / 9.25 in, but it can be resized to any wrist. Finally, but definitely not least, this watch is backed by a 1 year international warranty. 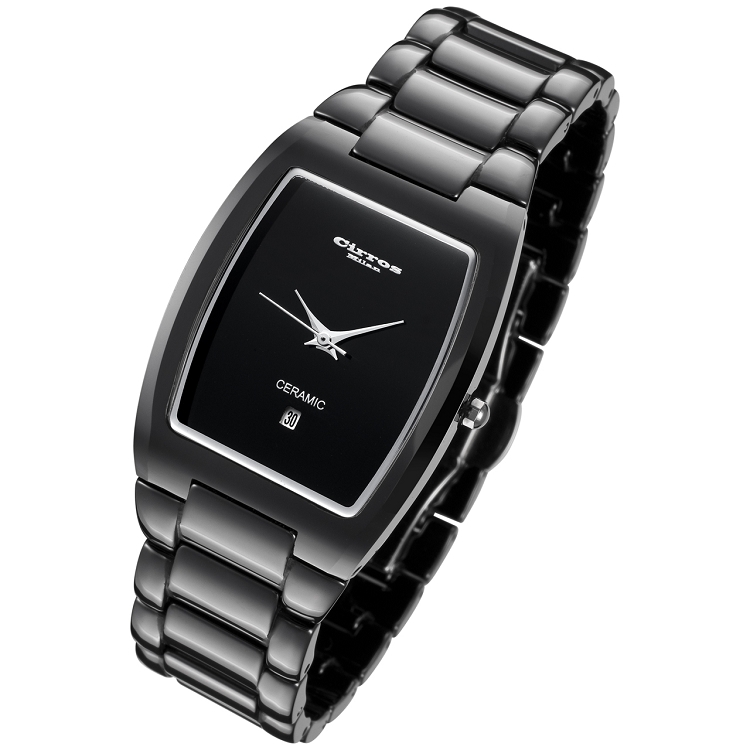 All these factors make this an ideal watch to wear at formal events.